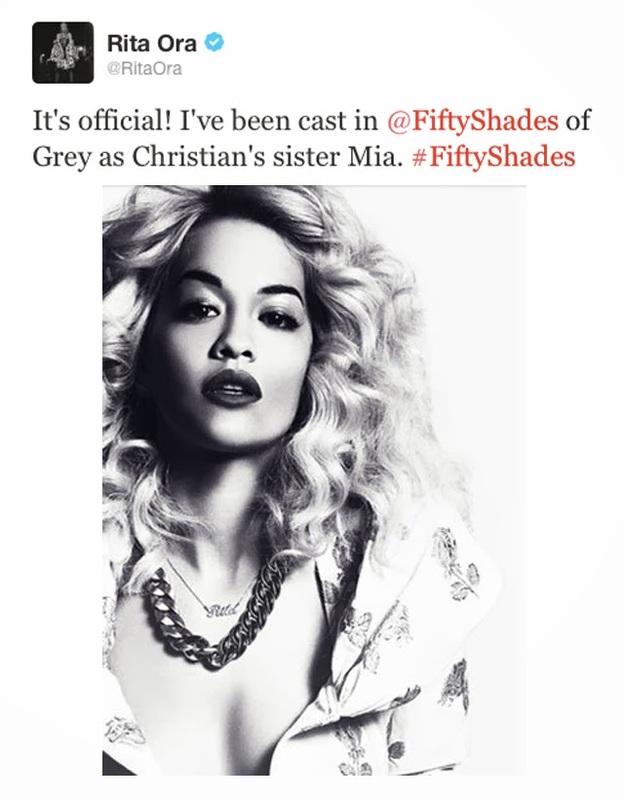 This is officially the most unexpected news of the day - Rita Ora has been cast in the Fifty Shades of Grey movie. Don't get us wrong, we love Rita Ora. But this is just plan random. The pop star announced her involvement in the film just moments ago on Twitter. Rita Ora's tweet reads, "It's official! I've been cast in @FiftyShades of Grey as Christian's sister Mia. #Fiftyshades"
To be quite honest, we can't even remember the character Mia, so while we'd like to comment on whether or not this is a right fit, we'd be flying blind on that one. Would anyone like to share as to whether or not this is correct casting or just clever marketing? Either way, seems Fifty Shades of Grey continues to build column inches, one new cast member at a time.